The oil portrait of Erna Fergusson that hangs in the main room was painted by noted artist, Wilson Hurley in 1965. The portrait was commisioned by the New Mexico Historical Society to be hung in the New Mexico Hall of Fame. It was unveiled at the Society's annual Hall of Fame Dinner on November 27, 1965. It is now owned by the ABC Library, though how it came to us is somewhat of a mystery! 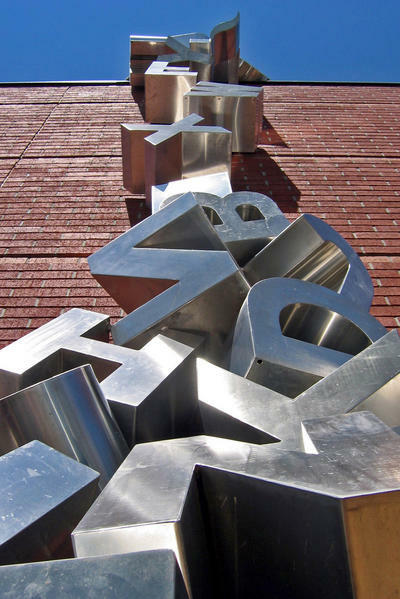 The Alphabet Soup sculpture installation around Erna Fergusson Library was created by artist Pete Beeman. 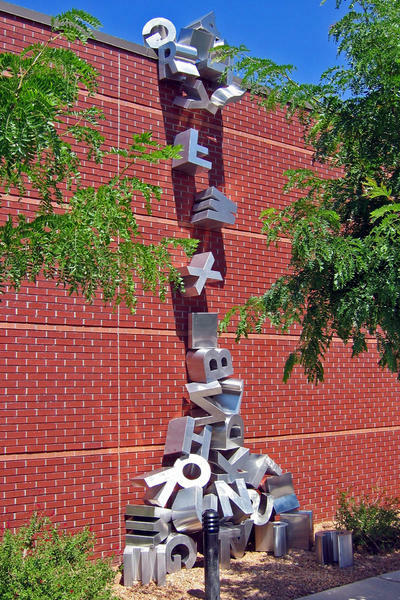 The work was commissioned in 2005 by the City of Albuquerque Public Art Urban Enhancement Program (known by many Albuquerque citizens simply as 1% for Art), to coincide with the opening of the newly remodeled Erna Fergusson Library. For more information on Mr. Beeman or to see his other works of art, please visit his webpage here. 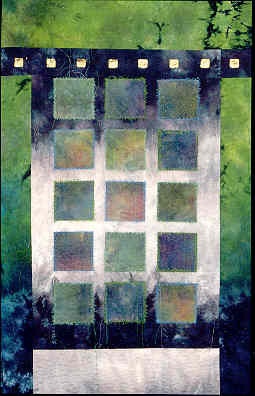 The art quilt that hangs in our periodicals reading area is by Albuquerque fiber artist Renée Brainard Gentz and is titled, Spectrum Analysis (2001). Its structure plays beautifully against elements of the building architecture. The quilt was funded by the Art in Public Places Program, New Mexico Arts, Department of Cultural Affairs. For more information on the artist, please visit her webpage. The large acrylic painting that hangs in our computer area is titled, The Idea of Landscape (2008). 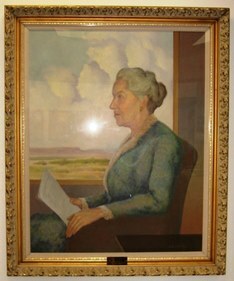 The painting was a gift to the library by its creator, Marta Light. 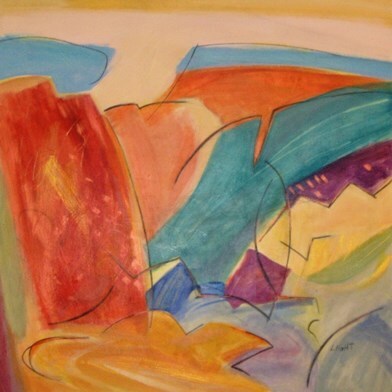 The large, semi-abstract landscape is inspired by the shapes and colors of New Mexico. 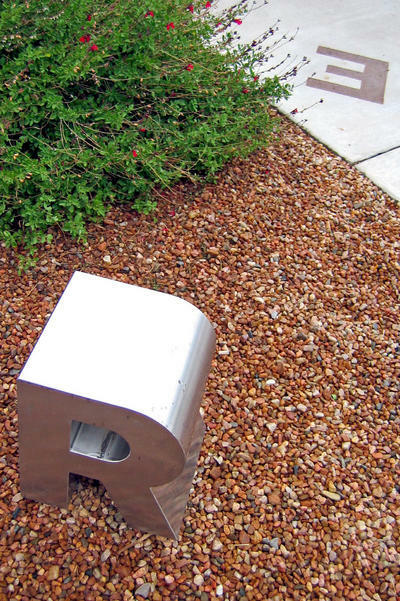 Ms. Light lives near Erna Fergusson Library and is represented by the Weyrich Gallery.